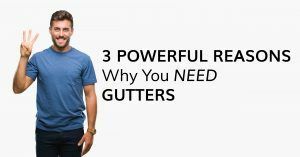 Several problems can crop up when snow builds up on your roof. From ice dams to roof damage and beyond, there are different guidelines for residential snow removal depending on what you want to accomplish. Ice dams can form with just a few inches of snow. 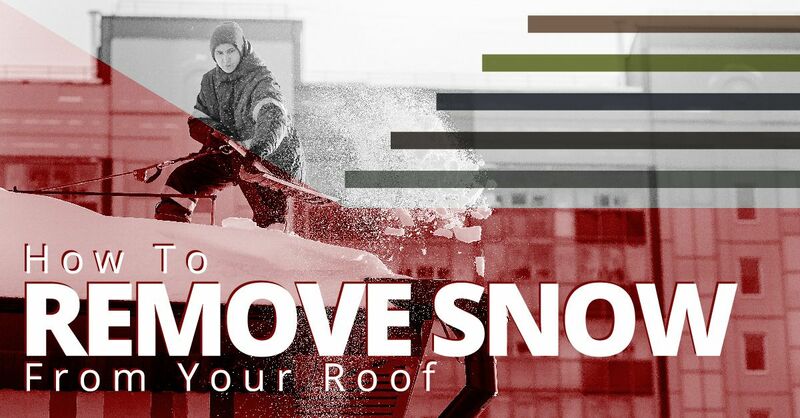 If you’re looking to prevent them, don’t let more than 6” (six inches) of snow build up on your roof and remove old accumulation before new snow falls. To prevent damage for most roofs you’ll want to limit snow accumulation to 12” (twelve inches) or less. If your roof is old or already needed some repair before winter began, be cautious about letting snow become an issue. Wet snow is extremely heavy and can cause serious damage to your roof and its supporting structures. Snow removal can be very dangerous. It may be hard to determine where those big clumps of snow will fall, especially if you don’t remove them properly. 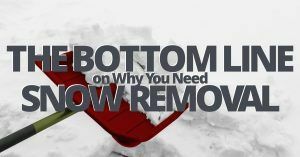 Fortunately, there are some tricks you can use to prevent snow buildup altogether and tools to direct the snow to fall a certain way. Heating elements can be installed on your roof prior to winter setting in, giving your roof some warming protection against snow buildup. If your roof is already covered with snow, you might want to check into a roof rake, a specialized tool which allows snow to be removed in a directed, cautious manner. Getting up on your roof can always be risky, but add in ice and snow and it becomes downright hazardous. Any snow removal requiring you to clamber up on the roof should be left to trusted specialists like the team at J. Carnes & Son Roofing. With the right tools, years of experience, and a sterling reputation, the dedicated team at J. Carnes can help get your roof in shape after a snowstorm. We can also advise on what steps to take before snow flies, such as heating element installation, to keep the snow at bay on your roof.